Cycle status indicator The full lit display glows for wash, drain, drying, sanitized and clean along with the time in hours and minutes so there's no need to guess when your dishes will be ready. Flexible loading options Adjustable upper basket, folding tines, removable upper basket and AnyWare silverware basket. 8-hour delay-start Lets you set the dishwasher to start running while you're working, sleeping or running errands. TotalCoverage spray arm Cleans with twice the jets for more coverage. A smarter sequence of spray patterns from multiple nozzles hits dishes throughout the cycle. 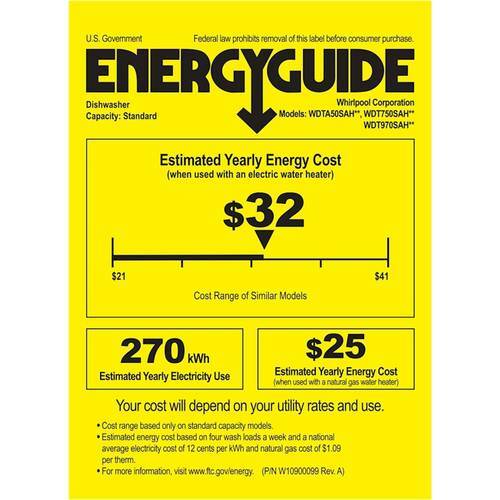 Energy Star Certified Energy Star Certified models exceed government standards to help save money on your utility bills. 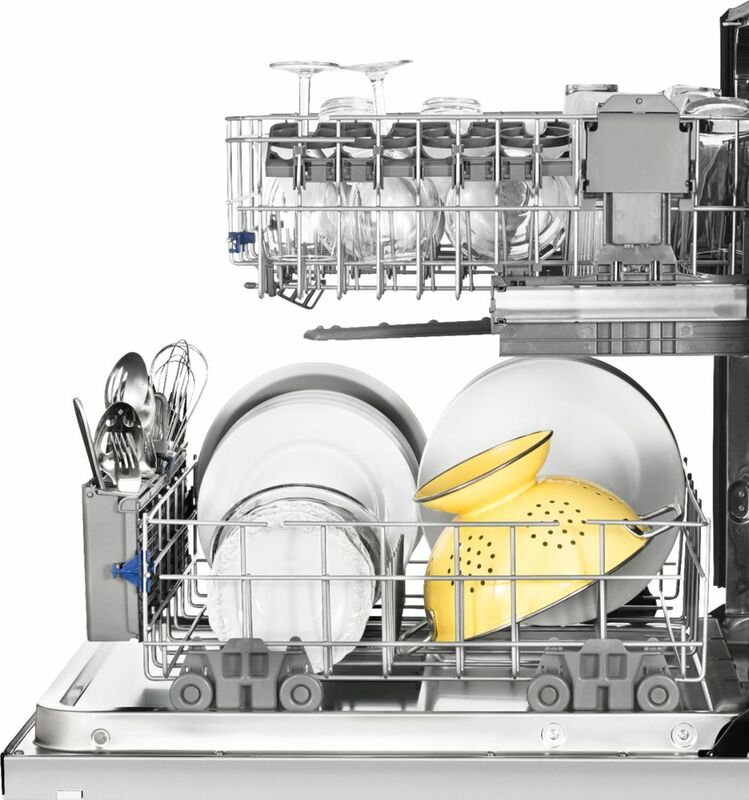 1-Hour Wash Cycle Cleans dishes in half the time (compared to Normal cycle with lightly soiled loads) so your plates, pans and glasses are thoroughly cleaned up and taken care of in just an hour.